To help you better prepare yourself and your family to fight the bite, Orkin presents the “Buzzer Beater” app, which features its deep scientific knowledge of mosquitoes. Are you prepared for mosquito season this year? 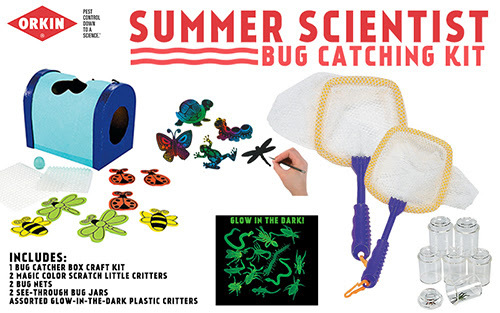 ONE (1) lucky winner will receive a Orkin Summer Scientist Bug Catching Kit! Contest is open to US only, 18+ (ends May 10th, 2016 at 12am PST). All entries unless otherwise noted are optional. Please enter the giveaway form below. The winner will be emailed and have 48 hours to respond or a new winner will be chosen. Good luck! I aced the quiz with a perfect score (thanks to living in Rural Arkansas no less lol) and I earned my Buzzer Beaters Badge!